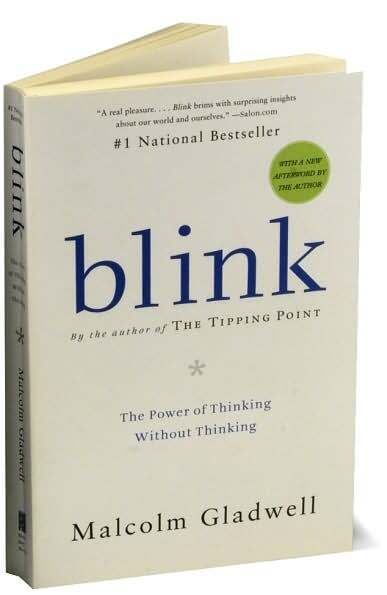 Blink: The Power of Thinking Without Thinking | What's On My Nightstand? How do we make quick decisions? Is the process we use good or flawed? Would it help if we had more time or more information? Can we get better at it? Malcolm Gladwell tackles the process that goes through our heads when we must make decisions, and presents many things that influence the process. He then gives many fascinating examples of how these quick decisions can turn out right or wrong. Some examples include the cola ‘wars’ and Coke 2, a police shooting in the Bronx that went horribly bad, women gaining their rightful place in symphony orchestras, and Warren Harding gaining the presidency. Gladwell gives a very convincing argument for his theories with many examples. I found this book to be a fascinating read.